The silicon valley of India, Bangalore is one of the most famous city for entrepreneurs. 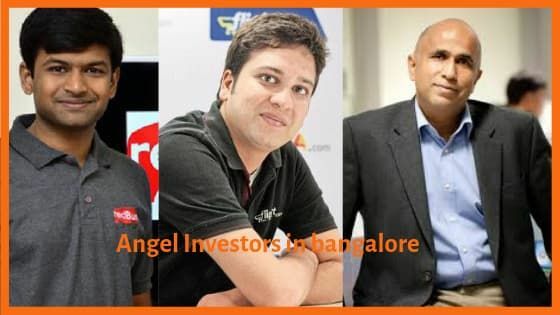 Here we have listed some of the most famous angel investors in Bangalore who you can reach out to. In this post, you will get to know about their background and sectors they like to invest in. Abhishek did his engineering from IIT, Varanasi in 1999. After completing engineering, Abhishek joined Oracle as the Associate Consultant. After working there for 4 years, he joined GlobalLogic. He then again switched to a new company after working there for almost 4 years and joined Lime Labs India as VP Technology. Later in 2011, he became Head of Accelerator at TLabs. Now, Abhishek Gupta is the COO at TLabs along with serving as Board member of MintM Inc. and GradeUp. Krishna Jha completed his education in Mumbai from St. Xavier’s College. He founded ITFinity Solutions Pvt. Ltd. in 1999. He then became head of OnMobile for almost 2 years. Now, Krishna Jha is serving as the President of Telnet ventures. Phanindra did his engineering from BITS, Pilani. He then started working as a Design Engineer at ST Microelectronics. After working 2 years, he joined another company called Texas Instruments at the same position. In 2006, Phanindra Sama Co-founded redBus.in and served as the CEO for 8 years. 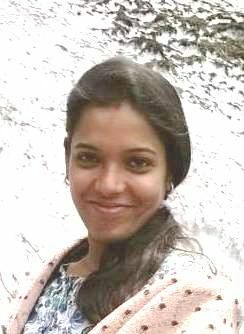 Now, Phanindra is serving as the Chief Innovation Officer for Government of Telangana. Sameer did his engineering from Illinois Institute of Technology. He started his career as an Engineering intern at Spectranet. He later did many internships in various companies in the engineering field. Sameer later went on to become the founder and CEO of Breakthrough Capital and now serves as the board member and investors of many companies including Zolo, Jumbotail, Hasura, Myupchar, and Unacademy. Sector- All Markets Consumer Internet, Enterprise Software, Mobile Big Data, Big Data Analytics, Cloud Computing, Cloud Infrastructure, Virtualization Storage, Energy Storage, Data Security, Collaboration SaaS, Medical Devices, Web Hosting, PaaS, Cloud Data Services, Security, SMS Databases, Small and Medium Businesses, Developer APIs, Invest Online. Funded in- Archer Technologies, Bira 91, Buildsupply, CloudByte, Dhama Innovations, Eband Communications. Ganesh Krishnan completed his engineering from Delhi and later did MBA from IIM. He had served as the CEO of Bharti Airtel in 1998. He is the founder of Portea.com and TutorVista. Aprameya completed his engineering from National Institute of Technology, Karnataka. He later started working as Software Engineer at Infosys. But in 2006, he decided to do further studies and joined IIM to do MBA. In 2008, he started working at Jones Lang LaSalle as head of business development. After working for 2 years, he founded TaxiForSure in 2010. He remains the director of TaxiForSure till 2015. Now, he does angel investing and also founded another startup called Vokal. Praveen completed his engineering from BITS, Pilani. He later joined IIM to do PGDM. In the year 2000, he founded Cross-Tab Marketing Services, where he serves as a Director now. In 2013, Praveen Gupta founded Tallenge Inc. and serves as the CEO. Rajeev Krishnan is an Engineer from National Institute of Technology and later did PGDM from IIM. Before switching his career, he worked as Technical Consultant at National Instruments. He again joined the same company and kept getting promotions. Now, Rajeev serves as the Country Manager for MTS System Corporation. Being an Engineer from IIT, Kanpur, Amit Gupta joined Herman Industries as a software engineer. He later went on to co-found InMobi and now working on another startup called Yulu. After completing his MBA from Carnegie Mellon University, Shamir Karkal joined McKinsey & Co. as Management Consultant. He then did many high profile jobs before co-founding his own startup, Sila in 2018. After completing engineering from IIT Madras, Srinivas Anumolu joined IIM Calcutta to do PGDM. In 1987, after completing his studies from IIM, he went to UCLA to again do MBA in finance. Srinivas is the Co-founder of TutorVista and Elance (now Upwork). Also, he served as the director of Amazon India in 2005. Ananda Kallugadde completed his engineering in 1995 from National Institute of Technology. His first job was at Ernst & Young LLP. Later he worked at few other companies before co-founding NeoBytes in 2006. Now, Anada works as Advisor for many companies. 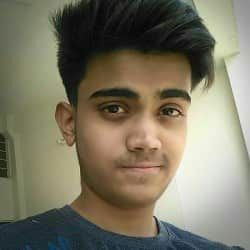 Gaurav did his Masters in Computer Science from the University of Southern California. Later he went to Microsoft to work as a Software Engineer. In 2012, Gaurav Lochan Co-Founded BeetRoute. However, after one year, he joined Flipkart as Engineering Manager. Currently, Gaurav is serving as Software Engineer at Facebook. Before Co-founding Strumsoft, Nagendra did his MBA from Massachusetts and worked as Program Manager at Comverse. Now, he is the VP of Engineering at Synchronoss Technologies. University of Minnesota is where Brij Bhasin completed his engineering and also worked as Research Engineer for 2 years. He later worked as product manager at Pramata Corporation for 6 years. However, in 2011, Brij Bhasin founded Boost Tech. He left the company after a year and did many high profile jobs in the next 3 years. Now, Brij Bhasin is an Angel Investor and Board Member of multiple companies. In 2004, after completing Engineering from VESIT, Abishek joined Tata Consultancy Services as a security consultant for 5 years. In 2009, he went to School of Investment and Banking and switched to Intellecap as Senior Associate. In 2013, Abishek Surendran completed his MBA form IIM and worked as an Intern at an investment company simultaneously. He then joined Exfinity Venture Partners as the President for almost 4 years. Now, Abishek is a Partner at pi Ventures. Rutvik completed his engineering from IIT, Kharagpur. He joined CA Technologies as a Software Engineer straight out of college. He worked there for a very long period of time in many positions. Then he decided to do MBA from INSEAD in 2006. After completing MBA in 2007, he joined Google as a Product Manager and worked for 3.5 years. He was the CEO of Tagge.com in 2010. He then decided to leave the company and now serving as the Managing Director of Inventus Capital India. Toby Ruckert founded SysOp in 1992 and also worked as Software Tester at IBM at the same time. After that, he became Board Member of Viva-Lite International Ltd. and served it for 17 years. Also, during that, he Co-founded AMT in 2004. Currently, Toby Ruckert is the Board Member of many organisations and is the founder and CEO of UIB, founded in 2014. Along with his interest in the business world, Toby likes to play music for which he went to a Piano school in 1997. Sector- Unified Communications, Social Media, Cloud Computing, Big Data Analytics, Data Integration, Consumer Internet, Email Mobile, Social CRM, Advertising Platforms, Collaboration CRM, Enterprise Software, Mobile Enterprise E-Commerce, SaaS, B2B, P2P, Money Transfer, Small and Medium Businesses, Deep Information Technology, Disruptive Models, Clean Technology, Messaging Marketplaces. After doing Diploma in Business Management, Nilesh worked at Nortal as a System analyst. He then founded a tech startup in 2000. However, he later joined Cisco as Software Engineer and got many promotions. Nilesh Trivedi did MBA in 2012 and started working as Advisor for many companies. In 2015, he founded another company called IOTLab. Presently, Nilesh works as an Advisor for many companies and investor for startups. Sachin Garg is an Engineering Dropout who founded his first startup in 1997. He became Software Product Consultant at TCS, India, and Canada. In 2006, Sachin joined Yale University to do MBA. After completing MBA, he became a founding member of GSF Accelerator & Investments. While working on the startup, he was also working as Product & Business head at Amazon.com. He left both the companies and founded another startup upRack.com, an e-commerce platform. In 2013, he found yet another startup called REXPROP, which was later acquired by BroEx. Now, Sachin works as Product and Business Consultant for various companies. After completing his education from the University of Virginia in 2004, Mark Straub joined Banc of America Securities as an Analyst. After 2 years, he worked for Draper Fisher Jurvetson Growth Fund and got some promotions. Later in 2011, Mark became the Director of Khosla Impact and worked for 7 years. In 2017, Mark Straub Co-founded Smile Identity. Sector- Ventures for Good, Impact Investing, East Africa Clean Technology, Mobile Social Recruiting, Emerging Markets, Medical Devices, Diagnostics Health Care, Information Technology, Mobile Health. K. Srikrishna started his carrier in 1988 by working as Marketing Manager at National Semiconductor Corporation, after doing Masters and Ph.D. in Engineering from University of California. He was the President and COO of Microcon in 1996. He did many high profile jobs till 2008 when he founded Zebu Group. He was the CEO of Zebu Group but later in 2011, he became Executive Director of National Entrepreneurship Network. However, in 2015, he Co-founded Zebu Games and now serving as the CEO of the company. One of the most famous names in the Indian Entrepreneurial World, Binny Bansal started working at Sarnoff as a Software Engineer in 2005, after completing engineering from IIT, Delhi. In 2007, he switched to Amazon at the same position. However, after working there for 9 months, he along with his partner, Sachin Bansal, came up with a new idea. They both founded Flipkart. However, Binny has recently left the company and Co-founded another startup called X to 10x Technologies. Binny Bansal also serves as an advisor for many companies. This was out list of angel investors in Bangalore. If you are an investors connect with us at shubham@startuptalky.com to feature in the list. If you want to join the Whatsapp Group of StartupTalky, click here.